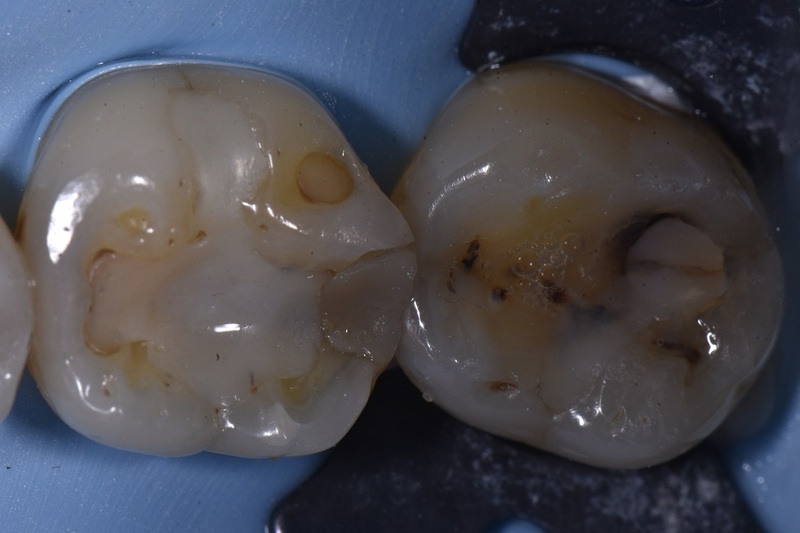 The chameleon effect of some of these modern nanohybrids are intense – very rarely will you need to mix and match enamel and dentin shades to get a decent blend posteriorly. This case featured a failed margins on the composite on 36DOB and a fractured composite restoration associated with recurrent caries on 37O. 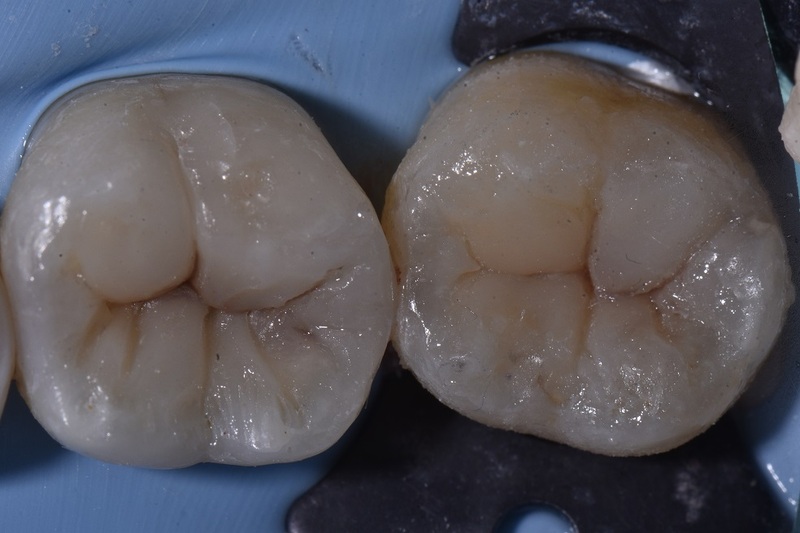 Both teeth were restored using a single shade of Essentia Universal (50:50 ratio of A2 and A3) – suitable for say, 90% of cases in your practice; well mine anyway. The preparation was micro air abraded before a total etch technique using G-Premio Bond (total etch as there was some sclerotic dentin and I wanted to get as much penetration for my 10-MDP as possible.